Need a trusted website partner? Paul McEniery is well known to pharmacy owners and staff from an extensive career as a sales representative. Paul has mastered the art of knowing what works for pharmacies in their pursuit of quality customer engagement instore. As part of the Guild Digital team, Paul will work hard to truly understand your business needs and advise you on the best course of action in the digital space. He has a genuine care for his customers and is focussed on achieving outcomes. 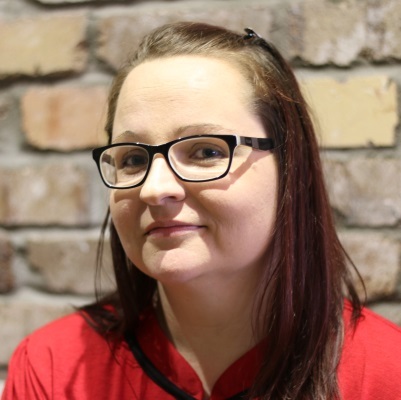 Kylie Faulkes is a former pharmacy assistant and Retail manager with eight years' experience supporting pharmacies with their websites and digital goals. Kylie has extensive experience and knows what works for pharmacies with digital engagement. Kylie's attention to detail means you will be given efficient and effective digital support. Kylie will carefully and diligently take you through the website production process. She manages all your needs to ensure your final website product is the highest quality. 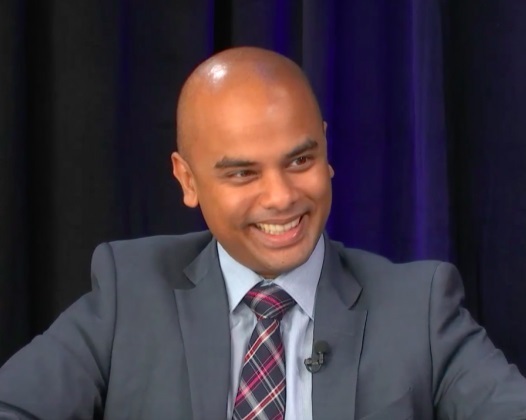 Aaron D'Souza is a pharmacist, former pharmacy owner and the GM of Guild Digital. His background spans a careers as the clinical, training, marketing and communications lead for GuildCare as well as a successful operator of a large community pharmacy. As GM of Guild Digital, Aaron is experienced and realistic about what a pharmacy needs and what they can deliver with digital engagement in their local community. Aaron was a member of the expert panel for the CP2025 Digital Enablement pathway, advising the industry on the most achieveable way forward with websites and eCommerce. 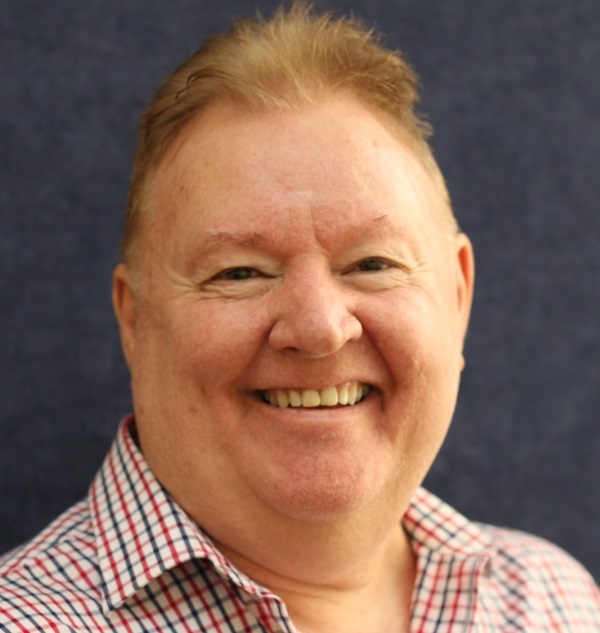 A regular speaker at APP and the voice of digital for pharmacy in Australia - Aaron can help you in defining and realising your business goals through digital technologies. He is currently completing his MBA majoring in Digital Transformation. 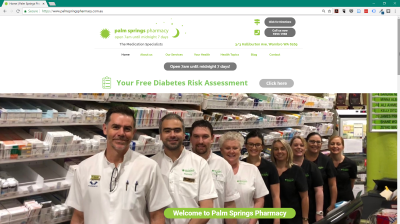 An independent pharmacy in WA, Palm Springs Pharmacy epitomises the spirit of a 'patient-centred pharmacy'. 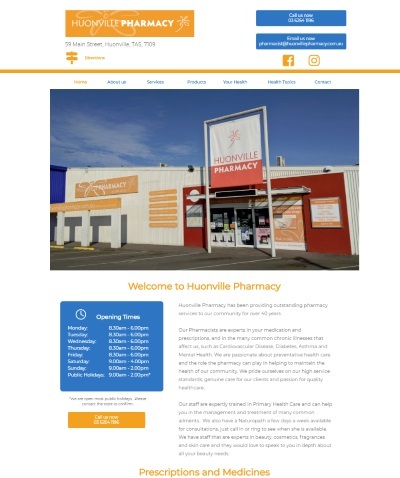 David D'Orazio, the pharmacy owner worked with our team to construct a website that serviced his community's needs and has made it his 'digital destination'. By adding his own Blogs to the site, David has applied true digital techniques and has created a site that now brings almost ten times the traffic from his old website. You don't need a large team to delivery large pharmacy outcomes for patients. 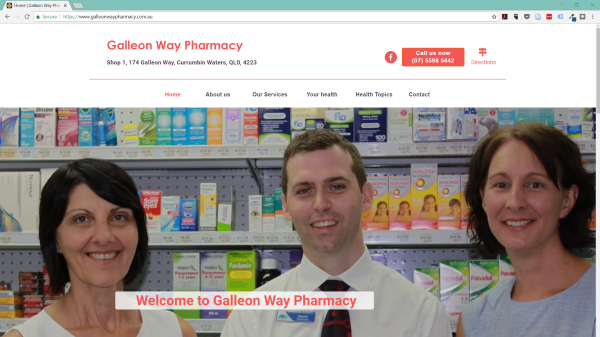 David Lund from Galleon Way Pharmacy in Currumbin Waters also proved you don't need a large team to create an excellent web experience for his customers. Working with the Guild Digital Team, David created a unique and authentic website showcasing his staff, services and products. There's nothing more important than the relationships built between pharmacy staff and their customers. 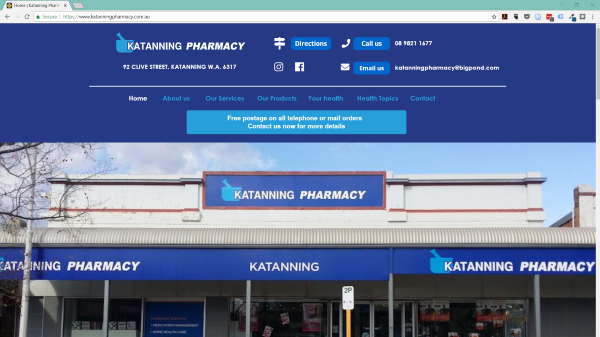 Paul Buck, Managing Partner of Katanning Pharmacy is passionate about this and wanted to ensure his brand new website was an online representation of his pharmacy's culture. Paul has worked with the Guild Digital team to develop a site that not only matches the physical look of his pharmacy; it truly represents the day to day positive experiences of his customers. 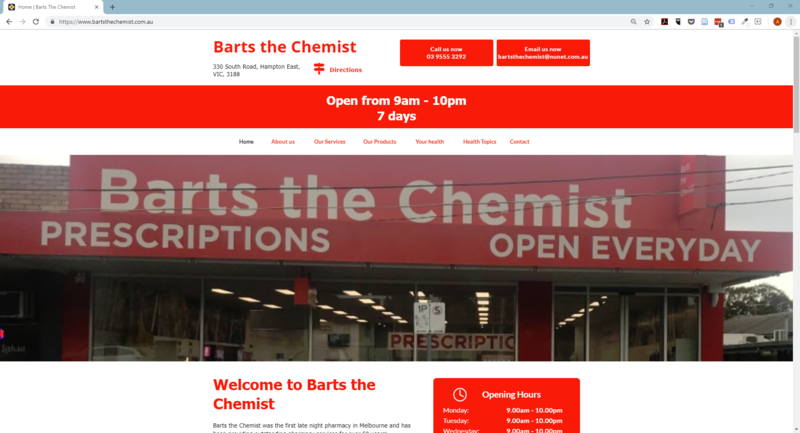 Barts the Chemist have been operating for over 50 years in Hampton East - a suburb of Melbourne. The team knew they needed to continually refresh the business and publishing a website for greater web presence was critically important to their business growth. It was important for our Pharmacy to have a dynamic website so that our customers new and old can learn about us. I love that our new website identifies all of the services we offer and lets customers know who our staff are. Most customers these days will Google a site to find out more about the business and we would like to be there for them, so our website can answer some of the questions for them. We chose Guild Digital as they are familiar with Pharmacy websites and knew what we would require. After enquiring about the services they offered I was extremely happy with the efficiency of their staff. I was very happy with Guild Digital, they explained the process fully before we started into the process of putting together our information. I could gather all the photos and text required to populate the sections that were already laid out in their template. This made working out what we need very easy, and we quickly had a starting point to edit. They were very quick at making any changes that we required and made many helpful suggestions. It was a quick and easy process from start to finish. Don’t hesitate, Guild Digital will help to make the process easy and you then will have a professional face for your online customer to identify with you. Get in touch with our team. We are focussed on making your website easy to publish and most importantly - a powerful customer generation tool for you. Is it time to act? Click below! Our team will help you with personal attention. We can provide members free digital advice and resources. Let us know what you're wanting to achieve and a good day/time to call you.